The stately clipped corner design of this august acrylic award leaves plenty of room for personalization. 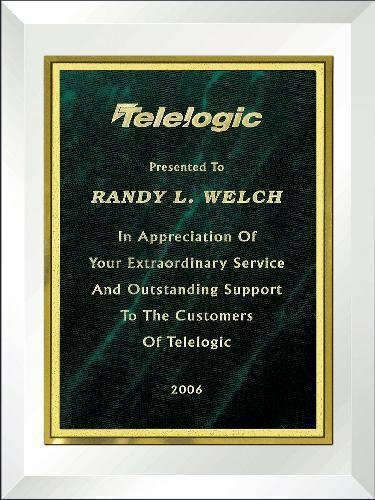 The gold plastic weighted base offers a touch of luxury along with a sturdy foundation to this simple award. 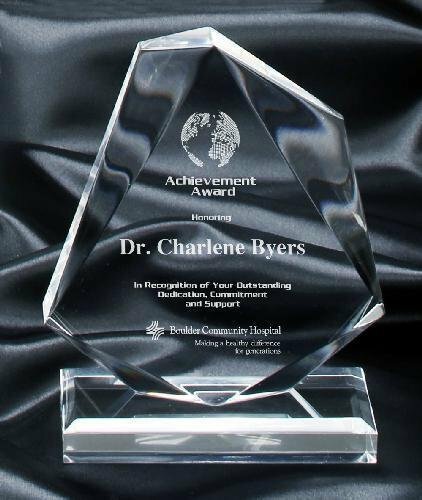 Polished acrylic offers value in a superb award design. Elegant is the only term that one can use when describing these Acrylic Jewel Awards. A unique look of a large jewel with eye catching cuts that adds depth and enhances a large engraving or laserable area that can accommodate any of your personalization needs. The matching acrylic base completes the look. Flexibility is a key component for these awards that come in your choice of clear, sapphire or jade finishes and three sizes 6 3/8", 7" or 8". These are beautiful awards that anyone would be proud to give or receive. Clear Mirror Plaque with backing and hangers attached. These plaques come Individually boxed. Phone: 865-588-2211 Fax: 865-588-3099 Powered by BizWizard ShopKart by NetSoft Studio, LLC.